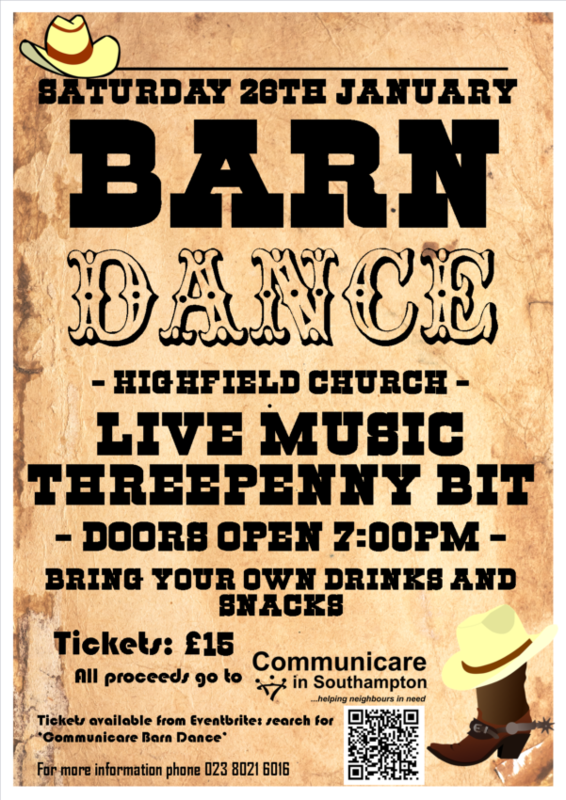 Communicare Barn Dance - Yee Hah! After the huge success of the 2018 barn dance, we’ve decided to give it another go! Three Penny Bit are returning for another fantastic night of live music, dance and laughter. Doors 7.00pm, Sat 26 January 2019 at Highfield Church – bring your own drinks & snacks. For more information, call 023 8021 6016.